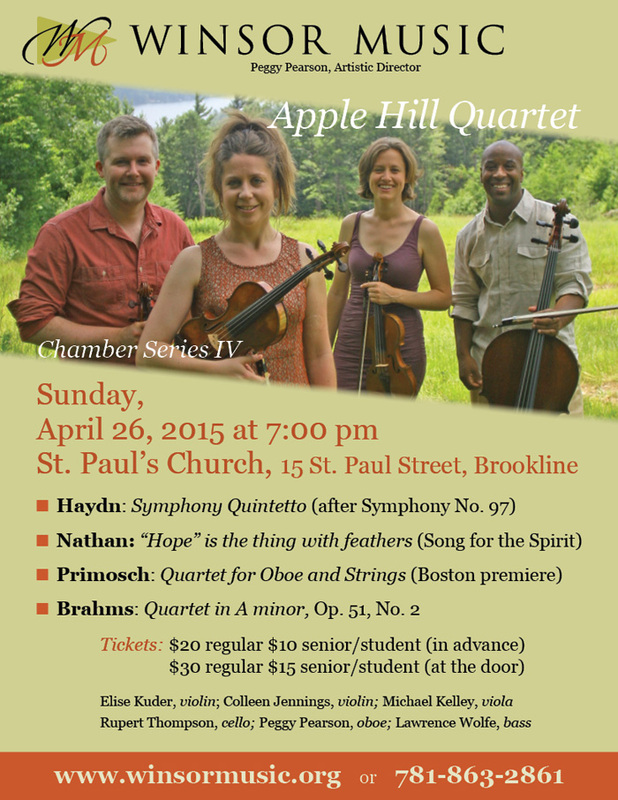 Here’s the poster for this coming Sunday’s Brookline, MA performance of my new Oboe Quartet. The piece will also be done in Peterborough, NH on Saturday, and in June at the Chesapeake Chamber Music Festival. An interview with me about the piece here; a review from the premiere here.